One of the ways that Jesus described the difference between "the sheep and the goats" as the members of the church come before Him on Judgment Day is that the sheep visited the sick. Clearly visiting the sick is one important fruit of true faith in Jesus Christ. 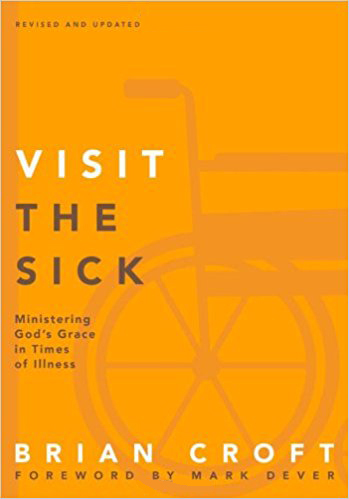 Brian Croft's book not only shows the theological foundations for and purposes for visiting the sick, but also gives practical guidelines on how to do so in a way that builds up those beset by illness or injury, their family and friends, and those who do the visiting. Croft starts by showing God's care for the sick after man brought the curse of disease into the world through sin - His care in the nation of Israel, in the life of Christ, and in the New Testament church. He next makes clear how our care for the sick can build up others spiritually through leading questions, the reading of Scripture, praying the gospel (especially when there are non-Christians on their deathbed), affirming God's promises, and trusting God's sovereign plan. This second chapter also gives a useful list of Bible passages to comfort and bring the gospel to the ailing. Croft's third chapter on "Wise Care for the Sick" reminds us to prepare our hearts, watch our time, listen to the sick members without the immediate compulsion to resolve all their questions, leave a note when necessary, and enjoy the opportunity to grow in the Lord ourselves through our visits. "Skilled Care for the Sick" (as the fourth chapter is titled) also requires us to make effective eye contact, use appropriate physical touch, be pleasant in our manner, be sensitive to the sick person's situation, and even to keep our breath fresh! 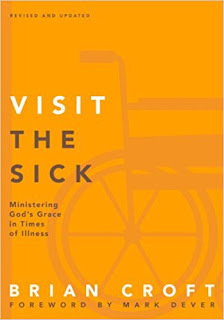 Croft's last chapter gives several ways for pastors to encourage their congregations to visit the sick. The conclusion and afterword give a concrete example (in the life of the famous preacher C. H. Spurgeon) of how effective our ministry to the afflicted can be and why it is so important. 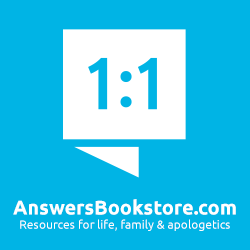 The appendices give a single-page checklist of what to remember when we visit; pointers on how to start and move spiritual conversations forward; a series of "Frequently Answered Questions;" a summary of J. C. Ryles's essay on the prevalence, benefits, and duties related to "Sickness"; and a bibliography of very useful resources. In just 94 pages, Croft gives a wealth of ideas to motivate and prepare us to visit ailing members, to their benefit and ours. 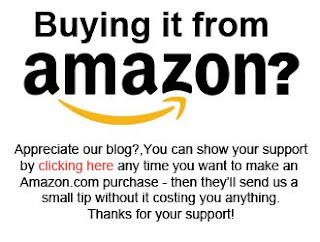 If you think that Brian Croft's book will help equip you and others in the communion of saints to Visit the Sick effectively, you can order the book at Amazon.com here and Amazon.ca here.